Ah, press releases with recipes. Two great tastes that taste great together. Or at least one great taste. Usually. 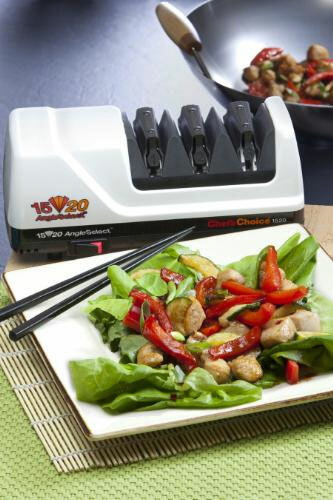 In any event, the following press release pairs not only a recipe for Spicy Stir-Fried Chicken Salad, but it does so while offering a few tips for wok-cooking. Nicely done, Edgecraft, makers of the Chef’sChoice 1520 AngleSelect Diamond Hone Electric Knife Sharpener . A mezzaluna is a nice and neat way to chop herbs or other small items. 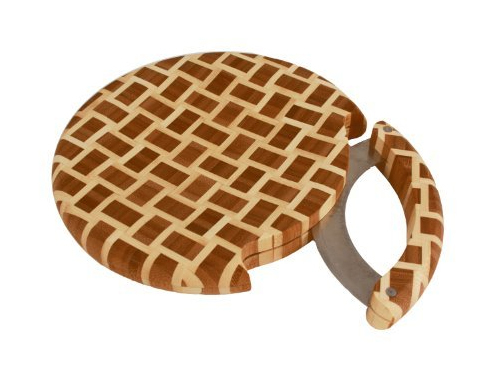 The concave cutting board keeps chopped goodies in place while one simply rocks a rounded knife over them. 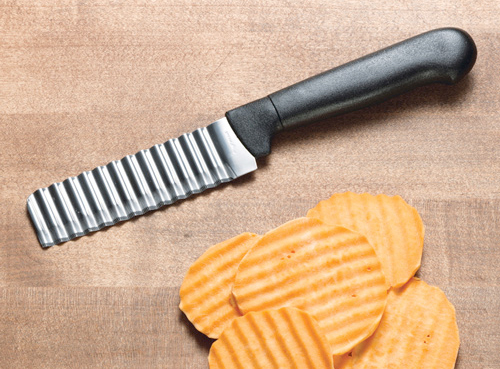 It’s efficient and practical—until it comes time to store the knife. The Totally Bamboo Geo Mezzaluna Cutting Board And Knife Combination features on-board storage for the oddly-shaped knife. 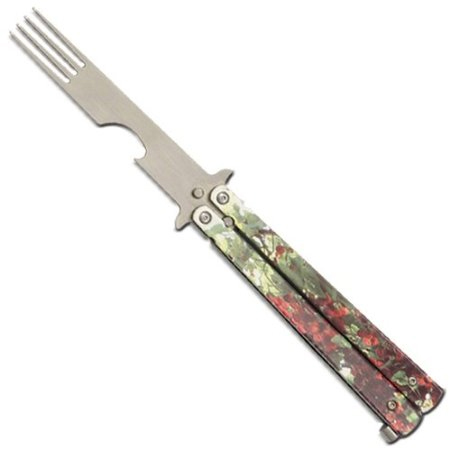 Tucking away directly into the body of the board, the mezzaluna offers an easy and safe way to keep the handy cutlery at the ready. Plus its Moso bamboo construction is ecologically sound. Measures 10-inches by 10-inches and stands 1-inch tall. You can’t really go wrong with a good crinkle-cut. Whether it is used for potatoes or carrots, the wavy texture lends another dimension of flavor. Perhaps they should make all food crinkle-cut, but until that time comes, we’ll just have to make do on our own. The Zig Zag Crinkle Fruit & Vegetable Knife is a start. Useful for creating fancy cuts on veggies, fruits and cheeses, the zig zag knife makes it easy to prepare flavorful foods using the same familiar motion as one would with a regular knife. Except this one just makes the food taste better. The link above no longer works, so here is a new link to a Progressus Zig Zag Knife instead. Cheap, effective and the 5-star ratings love it. Crinkle on! One may not be able to teach an old dog new tricks, but there are some dogs you probably shouldn’t try to teach any tricks. 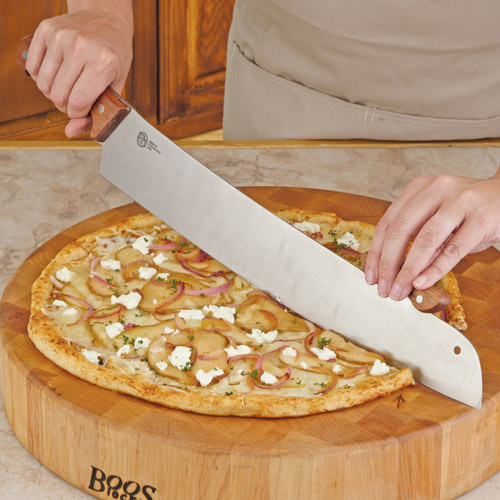 Aside from knife throwing and that knife between the fingers tabletop thing, there just aren’t that many good things to do with a kitchen knife aside from the preparation of food. Especially when it comes to kids’ knives. More bark than bite, the Kuhn Rikon kinderkitchen Kids’ Dog Knives are specially designed with kids in mind and feature blades that are just sharp enough to cut through soft foods. 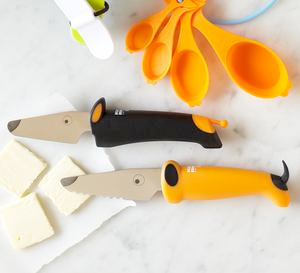 Available in either a serrated version or not, the bright designs are intended to attract kids into the kitchen—which actually might be the best trick of all. Jigger Double Bubble Snorkle… What?